My desire to have more time to better understand clients’ business objectives and technology commercialization was an important factor in my decision to cultivate my own practice. I believe that what makes an innovative business thrive is the passion that drives it. Although my law firm is new, my experience and devotion to my chosen fields of intellectual property and the regulation of products under the FDA’s jurisdiction spans almost 30 years. During my 12 years (1988-2000) with the FDA, I learned firsthand auditor and compliance officers’ expectations regarding product safety and regulations. I applied my electrical engineering degree in testing radiation-emitting medical and consumer products as a laboratory engineer and reserve electro-optics (e.g., laser) specialist. Later, as a Consumer Safety Officer in the Light Products & Cardiovascular Devices groups in the Office of Compliance at the FDA’s Center for Devices and Radiological Health, I reviewed regulatory filings, worked with field offices and the Office of Chief Counsel in enforcement and evaluation & monitoring of manufacturers' remedial corrective actions, and served as a liaison to other FDA Centers on software issues (e.g., blood and tissue banking, Part 11 electronic signatures rule-making.) For almost six years, I conducted domestic and international GMP, product approval, and bioresearch monitoring inspections of medical device, drug, blood bank and biotech product manufacturers, on occasion working with the U.S. Department of Justice and foreign countries' regulatory bodies. Since transitioning to the practice of law in 2000, I’ve worked significantly with businesses and institutions of all sizes in patent prosecution, licensing, IP transactions, portfolio strategy, opinions and enforcement, in addition to advising on FDA matters and trying my hand at teaching FDA Law (at Suffolk University Law School.) 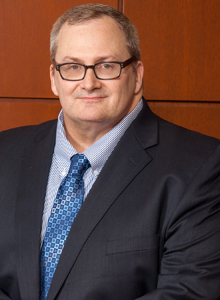 My legal career has included stints as IP counsel with prestigious law firms Burns & Levinson LLP and Choate, Hall & Stewart LLP, and the remainder in-house as IP licensing counsel and patent counsel at technology leaders PerkinElmer, Inc. and Avid Technologies, Inc., respectively. I’ve gained experience with a wide range of technologies, including many types of medical devices and biotech products, life sciences instrumentation, computer science, optics, imaging systems, antennas, digital & analog circuitry and signal processing, microfluidics, digital media, lasers, optical waveguides, computer graphics animation, semiconductor processing, encryption, search engines, virtual environment software and business method software. I welcome the opportunity to demonstrate how I can add value to your organization. I know that finding the right attorney to represent you is a choice not to be taken lightly. That’s why I offer free consultations to walk you through your needs, the scope of your goals, and your budget.